You’re about to watch a short video focusing on the experiences of three people living with dementia. Before we start we need to know a little about you. 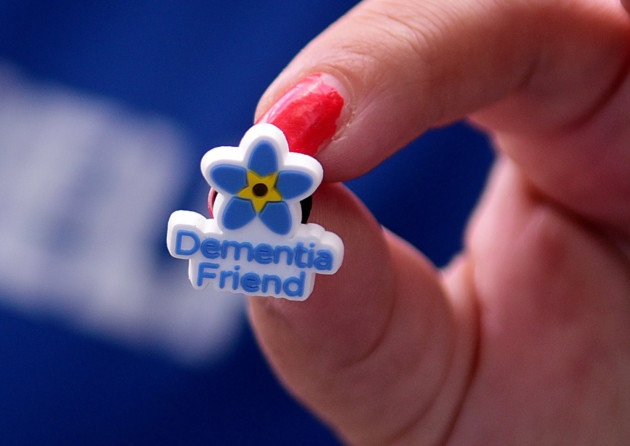 By telling us a few details, we can count you as a Dementia Friend and send you support materials by email. England Guernsey, Isle of Man Wales Northern Ireland Scotland Outside the UK Why do we need this? Enter your details and watch the video to become a Dementia Friend. 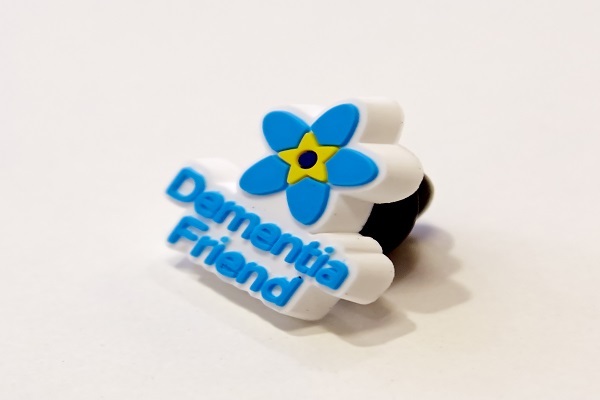 Then enter your address and we'll put your Dementia Friends badge in the post! To find out more about how we use your personal information please take a look at our supporter privacy statement. privacy statement. During this video you will hear from three people living with dementia. You will learn about some of the challenges they face and how you could help. After you've watched the video, you’ll be a Dementia Friend! If you would like to learn about being a Dementia Friend, sign up for a Face to Face session with one of your local champions. Register using the form below and you'll be able to search for a session near you. We can only register Friends in the United Kingdom. See here for more information about how you may be able to help people with dementia where you live. Your email(* required) Why do we need this? We’d love to stay in touch with you about Dementia Friends and everything Alzheimer’s Society is doing; from fundraising, campaigning, services and research to volunteering. It’s totally up to you – you can update what you get at any time and we will never sell your details to third parties. To find out more about how we use your personal information please take a look at our supporter privacy statement. Thanks for watching. You are now a Dementia Friend! Enter your address below for your free Dementia Friends badge to help people know that you're a Dementia Friend. Or skip this step to complete your sign up. It’s totally up to you – you can update what you get at any time and we will never sell your details to third parties. Your badge will arrive within 28 days direct from our badge supplier. If you’d like to change what you receive from us, please call customer care on 0300 222 5855. We’ve sent you a confirmation email to confirm login. Just click the link and you will be logged into the site.